Yesterday I photographed the wedding of Kellyann and Phil at The Red Brick Barn in Rochford. Kellyann was an old friend of mine, and it is always a pleasure to capture the photographs for someone that I know. We completed their engagement shoot a few weeks previously with their children Charlie and Jimmy. The photo shoot took place in Priory Park, one of my favourite spots for pre shoots. On the wedding day itself, I arrived early at their flat in Rochford. Kellyann had 9 bridesmaids so the flat was buzzing with excitement and lots was going on. I started by photographing all of the details, including the dress, the flowers and the shoes (which had been fully customised by Kellyann and looked awesome)! I then made my way towards Rochford for the Red Brick Barn. It is a venue I have worked at a number of times now, and it’s always a pleasure to see the staff down there at the barn. 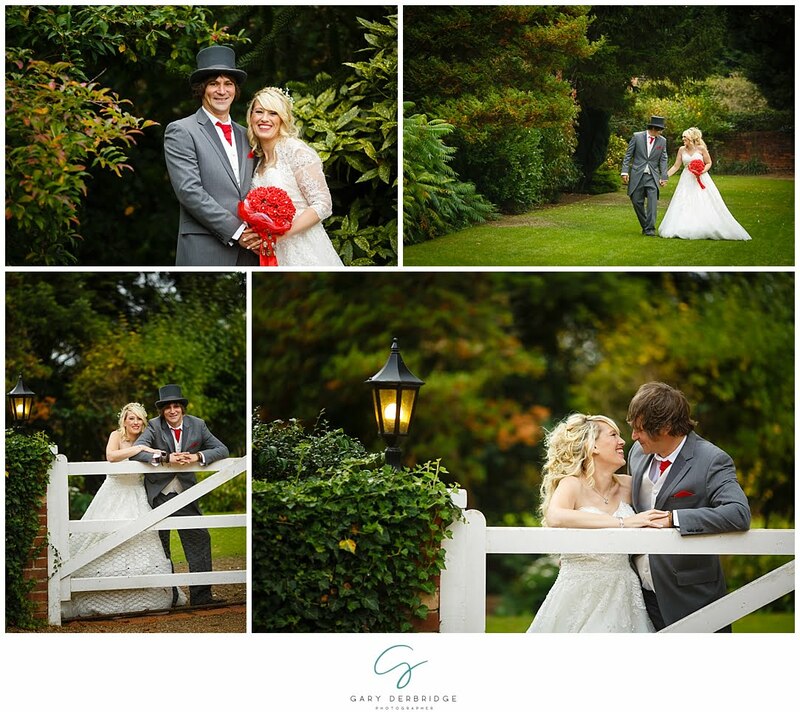 Kellyann and Phil had also hired the gardens, which make a perfect setting for the photographs afterward! The weather was up and down all day, but we made a run for the breaks in the rain when they come and got some great shots outside. Below you can find 4 of my favourite shots from their bride and groom portraits. I am now working on the full edit with an aim to get the photographs all ready for them in around 14 days. Please do not forget to leave your comments below with your thoughts on the photographs. I always love to hear what you think! If you would like to find out more information about my wedding photography services at the red brick barn, and across Essex, please contact me on gary@gdphotographer.co.uk or call 07852 457661.